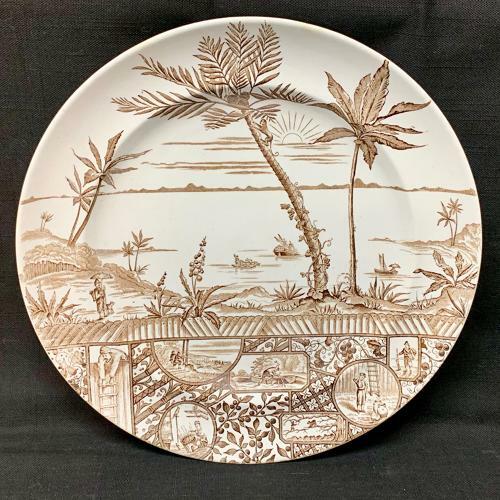 This rare Victorian aesthetic movement dinner plate is transfer printed in brown. The pattern features fabulous geometric designs along with exotic foliage and flowers including Palm and Coconut trees. A monkey climbs a Coconut tree along with cartouches of Crusoe going about his many daily chores. Clean shiny and bright. a small glaze flake to the left edge.